The flashlight was listed with free standard shipping for DKK 103.42 when I made my order, later that day I got an e-mail where they requested DKK 109.75 additional shipping fee. At the time I made my order the most expensive shipping was EMS for DKK 61.77. They never gave me answer why it would cost so much to ship a single flashlight without batteries, every time I sent an e-mail asking for an explanation they kept sending the same e-mail asking for DKK 109.75 until the flashlight was out of stock. Okay i am tripper! The disc that holds the LED in place is the same on mine as the new ones! Only difference is the grounding protection in the battery tube that sits over the pill and the tail cap is brighter on the newer Cometa’s . Related review: Imren Purple 22A 5500mAh 26650 Bench Test Results...only a 10A/5200mAh battery! What are the above (plastic?) discs? 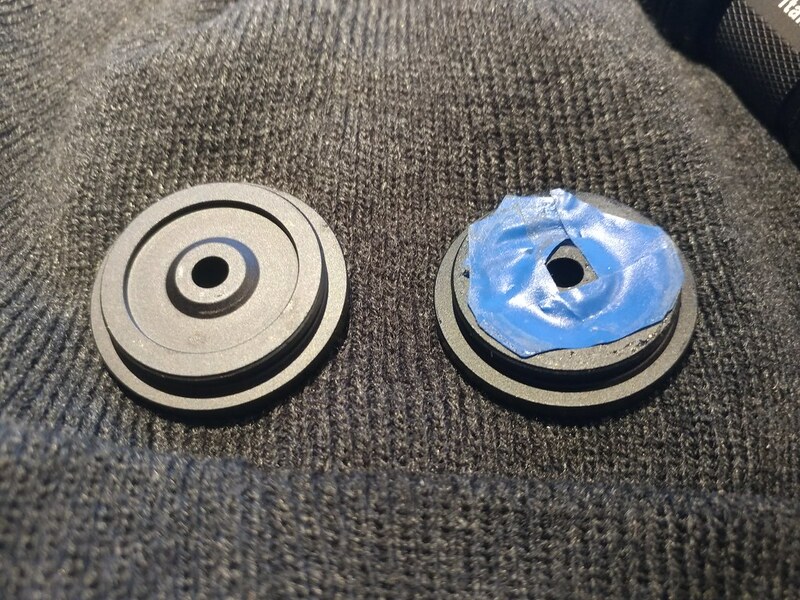 Insulating discs for the cell's head with a hole for some protruding spring, cap or whatever in the driver? Why additional tape? Hmmmm, my 2 arrived today; charged the batteries and gave one a try (after ensuring no shorting issues) and after switching on briefly, it now no longer works. Investigated and it seems that both springs have compressed, presumably from overheating the battery rattles back and forth due to no spring tension. 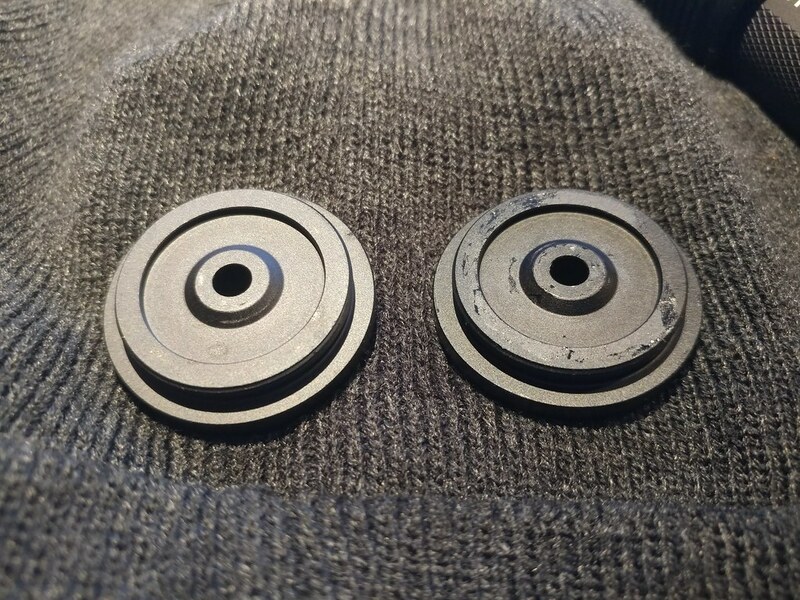 I will double check the potential shorting points, but suspect both springs are probably toast now; does anybody know a good source for replacements. that can handle a little current? What are the above (plastic?) discs? Insulating discs for the cell’s head with a hole for some protruding spring, cap or whatever in the driver? Why additional tape? That’s the anodised aluminium front cover for the driver. the hole is for the LED to poke through. Additional tape is to stop the solder points on the LED scratching through the anodising and causing shorts. Wonder if they fixed the sloppy driver pocket? BlueSwordM is running a group buy for Very High Current Beryllium Copper springs. All the large springs are taken, but there are small springs left. (Don’t know what size is in this light.) I believe Blue Sword M said he may be ordering more large springs at some point. But if you do not solve the shorting issue stronger springs are not the solution! Its like bridging a fuse with a massive copper bar. Now the spring has worked as a fuse and stopped the short. A bigger spring would allow higher current if you short it again. The disc is what holds the LED in place. It is made from anodized aluminum and was causing shorts because of the bad soldering jobs on some lights. Appreciate the advice, but I’m acutely aware that overcurrent has heated and ruined the springs; good to know they work as a crude protective device though, just need to source suitable replacements now. Aha, the holes in the pill for the wires have sharp edges too.. So basically this light has to be disassembled completely and all parts have to be checked and taken care of, and then you can reassemble the light. Yeah, sounds like my hobby. I think the loose head can be fixed too by using fatter O-rings. Looking forward to receiving this light. From what I hear, the head on the Jaxman Z1 doesn’t rattle. Ok, driver in my first one is seriously compromised; now only operates in 3 modes L/L/M – compared to the fully operating one. Not sure I can be bothered with challenging BG over the issue, but wondered if anybody could point me to a good replacement driver that would work with this setup? Don’t quite remember, but wasn’t it the A6 driver they were putting in these? No, I would not bother BG with issues with this one. We knew that this is the Cometa with known issues and we are getting them cheap because of that. See it as a wonderful host and that you have to look over every part to get it right. As long as they’re not glued shut. Its got the upgraded BLF driver from the X6 driver. I was going to put an SST4O in mine but the hole is to small for the LED. So i will drill the hole out with a 5mm drill bit see how i go. I was never in the Cometa group buy. And this time it is not about receiving a outoftheboxperfect flashlight but about great material for a nice DIY project for little money. The Jaxman Z1 is using a 22mm driver but i heard that the Cometa is using a 17mm driver. Can someone confirm the driver size from the currently sold Cometa? I did not bought in the Groupbuy. But at this price i could not pass! It is still cheap if you take it as a pure host. Received mine this morning, but no free gift (the 2×18650) only the 26650 in a bag. I’ll see how it stacks up against my modded Warsun X50, X65 and UF-1504 later. On first impressions, size wise, its a little more pocket friendly. My 18650s shipped separate by slower mail so keep an eye out. My “shipped” package (w/o cells) is still in the “label created” stage, ie, nothing was handed over yet. The other (w/ cells) is still back-ordered. Kinda interesting to see how this plays out. Thank for the links Barkuti, looks like a good option I will order now. Tested my working one for the first time last night and it’s pretty impressive in terms of throw compared to my D1S and GT Mini, though I realise they are both much smaller and I’m not comparing apples with apples. Tested my working one for the first time last night and it's pretty impressive in terms of throw compared to my D1S and GT Mini, though I realise they are both much smaller and I'm not comparing apples with apples. Please make sure first the Cometa can fit the driver. 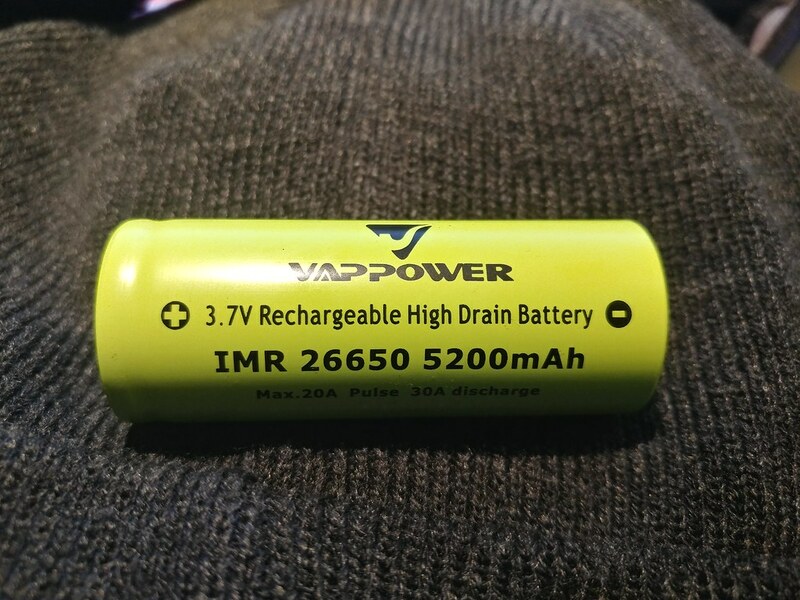 My reasoning is only a guess because it is a Jaxman Z1 based flashlight with the driver pocket reduced somehow to ∅17mm for the whatever driver it uses, and this is what caused cell shortcircuits when coupled with big headed 26650 cells, is this sort of right? This means you'll additionally fix this potential issue with a proper ∅22mm driver. All in all, while more expensive the build should be nice. If you opt to drive the XHP35 hard it will be pulling more than 10A at the tail, hope the torch uses a good switch. Yep 17mm driver you need to make space for the driver to fit. This is what actually caused the shorting issues originally it was meant to be a 20mm driver like the jaxman. Also you will need to make the hole bigger in the LED retaining disc so it can fit a XHP50 in it. It only just fits the XPLHI as is.